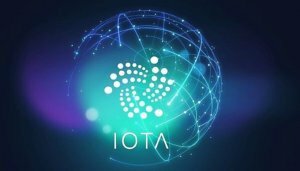 Home » Cryptocurrencies » IOTA, a popular cryptocurrency: Will the growth sustain? IOTA is a cryptocurrency designed for the Internet of Things. Using the DAG technology, also referred to as TANGLE instead of the traditional blockchain (used, for example, by bitcoin), IOTA’s transactions are free regardless of the size of the transaction. Because every holder of the IOTA protocol can confirm the transactions, there are no miners in this network. For a IOTA user to send out a transaction, the user must validate two other transactions. This means that you don’t have to wait for any transaction. The remarkable benefit of IOTA is that the network transaction speed INCREASES as the number of users increases. IOTA works as a peer-to-peer network designed for machines on the Internet of Things. Its goal is to provide secured communications and transfer of values quickly and free of charge to enable each device or car connected to the IOTA network efficient and trusted use. In July 2017, Bitfinex announced its support to IOTA and people could start trading it’s prices publicly. On July 13th 2017, MIOTA was traded at USD 0.5. (As you can notice IOTA tokens are sold in millions i.e. MIOTAs. Hence, the price is displayed as a price of 1 000 000 IOTA tokens = MIOTA). After announcing its partnership for the development of a data marketplace with Microsoft and Samsung, IOTA’s market value grew by 12 billion dollars. On Wednesday 6 December 2017, the price reached its historical high i.e. USD 5.5. Now, IOTA traded at around 2 USD. In terms of market capitalization, as of present, IOTA ranks among the top ten digital assets (after Ethereum, Litecoin and Bitcoin Cash and more). For a while it even overtook Ripple, but a few days later Ripple recovered to an astonishing 400% rise. The evolution of IOTA began in 2015. Marked as a “3rd generation cryptocurrency”, IOTA was introduced by David Sonstebo in 2015 and, until the end of the year, all tokens had been issued. In the next years, until 2017, the tokens were used for beta-testing. Rumours go that all tokens were seized by the community while the developers got nothing. It is the community that has established the IOTA Foundation, a non-profit organization seated in Germany. According to experts, the number of devices to be connected to the network will achieve 50 billion in the years to come. This type of network perfectly fits the original purpose of IOTA: to be a means of transferring data. The data is pre-mined, inseparable and users don’t need it to be able to use the network. At this point, there are in total 2 779 530 283 tokens in circulation. This figure doesn’t change and will not in the future. The growing number of devices allowing the application of tokens in the future drives the demand and price. As of today, there is no other cryptocurrency whose strength lies in micro-transactions. Once resolved by IOTA developers, micro-transactions (i.e. sending of small volumes) became a substantial part of the internet. In 2016, Outlier Ventures Capital made a massive investment in this project. A huge benefit is that this cryptocurrency doesn’t require any fees regardless of the size of the transaction. Nodes are motivated to participate in creating and confirming transactions of other nodes. To avoid hacker attacks and spam, the system is using a weight mechanism. All transactions are confirmed with respect to their weight. The weight corresponds to the quantity of “labor” each node invests in a transaction. Unlike other cryptocurrencies, IOTA’s prime focus has always been the internet of things. This global concept includes network elements such as home appliances, cars and other things that can communicate or change data. You can monitor and control them at a distance. More useful details about IOTA are available at Reddit, or IOTA Forum. Digital currencies and tokens can be traded at internet exchanges. IOTA is a less known cryptocurrency than bitcoin and as such, it is not easy to get. The purchase process as well as keeping the coins is difficult. 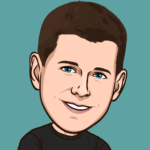 The range of virtual wallets supporting IOTA is very limited. The list of exchanges supporting IOTA is available here. I personally use Bitfinex and Binatex and I am content with these exchanges. All my coins are now on a Bitfinex account from where I’m going to transfer them to a newly created wallet. A sharp growth period in November 2017, in which the price multiplied ten times, was followed by a decline. In the end, the price stabilized at around USD 3 per MIOTA. People were selling IOTA mainly because the system wasn’t perfect. The transactions often got stuck for a couple of days and the prospects for a new IOTA wallet available in the foreseeable future were minimal. 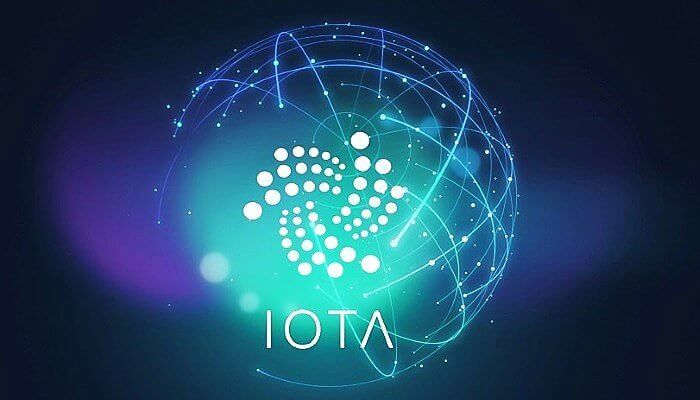 A few weeks after that a new growth period began driven by the introduction of the first functional IOTA wallet in the wake of the establishment of the IOTA Foundation. You will find more info here. What do you think of it? Send us your comments below! Our opinion is that IOTA is a breakthrough technology. It arrived a bit ahead of times and its current potential cannot be fully used. Developers keep working on improvements seen primarily in companies starting cooperation with IOTA. The list of cooperating companies includes Microsoft, Samsung or, BOSCH. I am one of the owners of IOTA and continue buying new coins. I believe that the time of trading MIOTA at around USD 50 is not distant future. Hello, thank you. We are happy to hear that!